Nakisha Rice is an OPHD Case Coordinator in the UCSF Office for the Prevention of Harassment and Discrimination she is responsible for providing case intake, and manages complex, highly confidential databases. 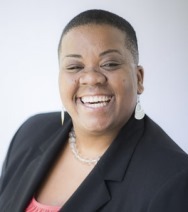 She is committed to working on issues affecting staff and serves on several campus committees, including the UCSF Committee on LGBT Issues and the Black Caucus and is one of the founding members of the schools Staff Wellness Group. Nakisha began her career with UC three years ago at the Office of the President where she served as a Risk Analyst with the Professional Medical and Hospital Liability unit within Risk Services. She has over twenty years of experience in private industry in banking, insurance, and health care.